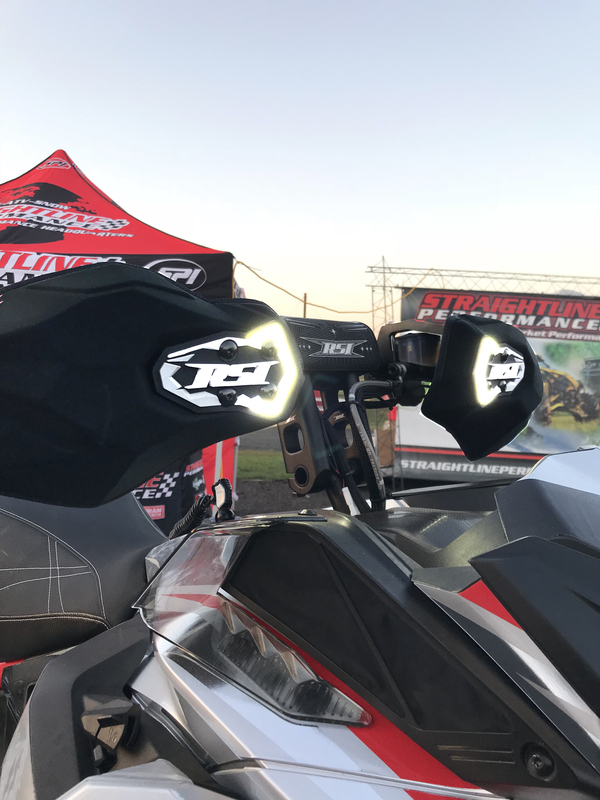 The newly released RSI racing “Stonewall” handguard uses the newest technology in all-weather handguards. Extremely unique, flexible, weather resistant, and yet very durable material. The handguards expanded coverage not only provides extreme weather protection, but its sweep backwards design keeps the area warm during all conditions. The unique two position mounting base allows the handguard to be moved closer or farther away from the grip with ease. Will not crush, deform, or warp under any condition, including rollovers. Works will all types of riding: Mountain, Trail, and Backcountry.